Hugh Weyman Yarbrough was born in Rome, GA on March 12, 1942 to Lee and Daisy Yarbrough. His early years were spent in Lindale, GA, where he was active in sports and boy scouts. He earned the rank of Eagle Scout in the eighth grade. As a result, he was awarded a scholarship to Darlington School; a private boys prep school in Rome. At Darlington he was active in sports and was the co-captain of the soccer team. Mr. Yarbrough attended Auburn University on a Navy scholarship. He was graduated in 1964 and was commissioned an Ensign in the United States Navy. His first assignment was aboard the troop transport USS Lenawee (APA-195) as CIC Officer. The Lenawee participated in the first landing of U.S. Marines in Vietnam. His next tour was aboard the destroyer USS Leonard F. Mason (DD 852) as CIC Officer and Navigator. Lieutenant Yarbrough directed gunfire support missions in Vietnam and was an underway Officer of the Deck during plane guarding assignments in the Gulf of Tonkin. In 1968 he was assigned to Naval Forces Vietnam where he served for a year as watch officer in the Operations Center in Saigon. He gathered information on naval actions around the country for daily briefings of the Admiral and his staff. After his tour in Vietnam, Mr. Yarbrough returned to Auburn University as an NROTC instructor. 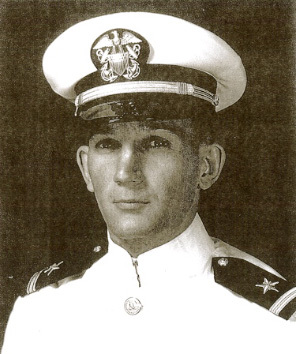 He taught junior midshipmen ship handling and navigation skills. His last assignment was aboard the USS Sacramento (AOE-1) where he served as head of the Operations Department and ships Navigator. Later in the tour he was the ship’s First Lieutenant. The Sacramento supplied provisions, fuel, and ammunition via underway replenishment to other ships operating in the Vietnam theatre of operations. Mr. Yarbrough currently resides in La Mesa, CA, with Catherine (Brighton) his wife of 39 years. He has three daughters; Cynthia, married to Michael Sieradski, Cheryl, married to Robb Hammel, and Caryn, married to Brad Staib. He has four grandsons, Chase and Trey Sieradski, Dayton and Blake Hammel.